Thomas Sankara: An African Revolutionary by Ernest Harsch, Ohio University Press, 2014, 163 pages, $18.56. A press report in 1983 that a popular uprising in Upper Volta, a small and poor land-locked country in Western Africa had led to an obscure, but charismatic army officer becoming head of state was truly inspiring news for all those looking for some kind of breakthrough against imperialism in that part of the world. It had come after the depressing news that Margaret Thatcher’s Britain had defeated Argentina in the Malvinas and Ronald Reagan’s America had crushed Grenada, a clear message to the world that, on a moment’s notice, imperialism would brutally crush anything that threatened its power. 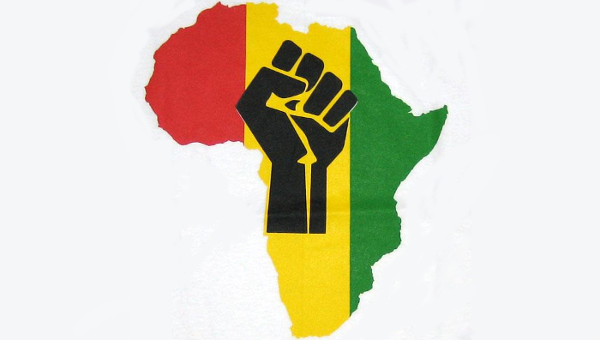 But because the American empire had been taken by surprise by the Cuban revolution twenty-four years earlier, many of us were then hopeful that maybe we were witnessing such a possibility again, in Africa. Ernest Harsch’s short biography of Thomas Sankara (the first in English) who would become an icon of Africa’s long struggle against neo-colonialism, helps us to understand the revolution that swept the small country of Upper Volta in the 1980s. It ended with Sankara’s brutal assassination, along with six of his closest advisors and seven drivers and guards, in a counter-revolutionary coup from within the armed command and government, inspired by France’s neo-colonialist Social Democratic President, Francois Mitterand and headed up by Blais Compaoré, one of the leaders of the 1983 revolution, who until last October, had been President of Burkina Faso. A research scholar at Columbia University, Harsch has for many years worked on African issues at the United Nations and had the good fortune to visit Burkina Faso in the 1980s on behalf of the American socialist journals, The Militant and Intercontinental Press , when he interviewed President Sankara on at least six occasions then, two of them at length and one of them shortly before his death. 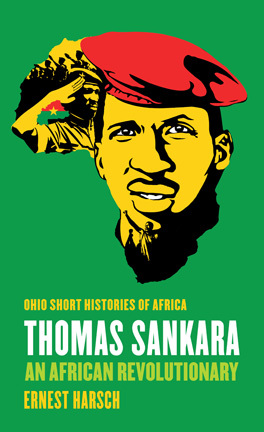 One of his sources in preparing this work, one of Ohio University Press’ “Short Histories of Africa,” was Paul Sankara, the President’s ten years younger brother. Harsch is also author of the book, South Africa: White Rule, Black Revolt . This biography provides valuable information about Sankara’s early life as he grew up amidst the tumultuous events and intellectual climate of his times as the country emerged from French colonialism. Educated at a lycee (state secondary school) – a Muslim, and of the Mossi tribe – one of the four major ones in the country, he came from a small, but privileged strata that had helped administer the old colonial state. Upon graduation he entered military college, the country’s first, that had been set up by the army after its overthrow of the first post-colonial regime in 1966. Periodic crises and political instability followed by military coups seems to have been permanent features of political life of the country after formal independence began in 1960. Still under the influence of Paris, the first post-colonial regime had been unwilling or unable to deal with the country’s immense social and economic problems, leading to mass unrest, labour and student strikes and of course, a military coup. In 1980, in another period of widespread unrest, the army again carried out a coup, its fourth – “because of the erosion of state authority” – but by this time Sankara, who had risen to a leadership position in the officer corps, opposed a strict military take-over. Deepening his links with students and labour organizations and encouraging the press to expose corruption, the young officer’s popularity dramatically increased. Taking his distance from the new regime as it became increasingly repressive, he used his appointment as Minister of Information in the new government to make a public declaration of his exit from it in a major speech, live over radio at the closing session of a prestigious conference of African ministers responsible for cinema, issuing a strong plea for freedom of expression. “Woe to those who would gag their people,” he warned. Immediately arrested by the army, he found himself deported to a military camp, far from Ouagadougou, the capital. But maintaining his contacts with other oppositionists and activists throughout the country, by August 1983 he emerged at the head of a revolutionary alliance of young radicals, military officers and civilian activists, to take over the presidency, in a new government called, the National Council of the Revolution (CNR), an overturn that was greeted with a mass welcoming demonstration in the capital, that lasted for several days and that rapidly spread across the country. Sankara in his first major speech on coming to power called for the implementation of sweeping measures to increase the economy’s productive capacity to reduce hunger and poverty, including the strengthening of a state that was extremely weak and that barely had a presence outside the major cities and towns. The previous regimes had governed through a system of chiefs and notables. Very quickly Committees for the Defense of the Revolution (CDR) sprung into existence in the poorest neighbourhoods and spread throughout the country. The problems facing the tiny country were numerous and enormous. Food production had not increased in twenty years. Hunger was common with life expectancy only 44 years. Women suffered deep oppression: “Our society – still too primitively agrarian, patriarchal and polygamous – turns the woman into an object of exploitation for her labour power and of consumption for her biological reproductive capacity,” Sankara declared. And with an adult literacy rate of a miserable 11 per cent, only three per cent of school children made it to secondary school. Annual per-capita income in 1980 was a pitiful $210. Less than one in ten lived in an urban area – the working class was tiny – and 90 per cent of the population worked the land. Bordering the Sahara, desertification threatened to further reduce the country’s arable land: the need to extend the irrigation system was urgent: only six per cent of the land was irrigated. Approximately ten per cent of the farmers still used animals to work the land. Cotton, introduced by colonialism, created a gross distortion of the economy. 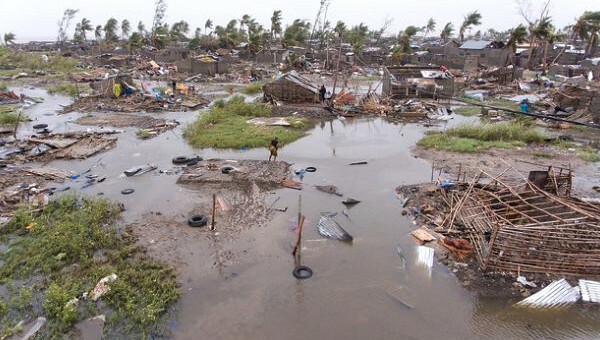 Most of the fertilizer and agricultural inputs – often imported – went there. Under Sankara’s revolutionary government, the population was soon mobilized to tackle the country’s problems within a framework of creating a national economy, “independent, self-sufficient, planned at the service of a democratic and popular society,” as Sankara stated in his first orientation speech. Education spending was increased. The CDRs enhanced tax collection and the colonial era “head tax” was abolished. From the beginning, an emphasis was placed on helping agriculture in a “Struggle for a Green Burkina,” making the country among the first to deal with environmental issues. As Harsch notes, from early on, the government’s primary orientation was toward implementing “small tangible improvements,” such as the construction of small rural irrigation systems to increase the production of food and the planting of trees, and the restriction of cattle movement to protect them. New schools, health clinics and reservoirs were built. Campaigns were immediately undertaken to reduce illiteracy and a massive child vaccination programme was rolled out to reduce disease. 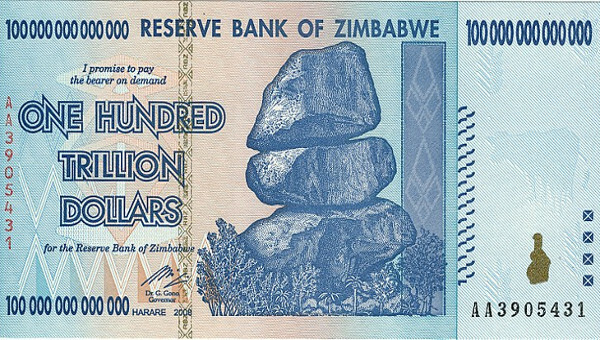 Land and mineral wealth was nationalized, with the farmers’ right to till the land guaranteed by law. And the power of the chiefs was severely reduced – the old regime had partially ruled with their help. They were stripped of their state benefits. Female circumcision was banned, along with forced marriages and polygamy, with the government making a strong commitment to the liberation of women from exploitation and oppression, leading to the setting up of a mass women’s movement, the Women’s Union of Burkina. Measures were introduced to shake-up a lethargic state bureaucracy and severely reduce its privileges and remuneration. Official portraits were prohibited and the country’s name changed to Burkina Faso. Setting a personal example, Sankara shunned luxury and imported goods, getting rid of the presidential Mercedes and Cadillac, instead using a budget-priced Renault and was often seen riding his bicycle to his office. 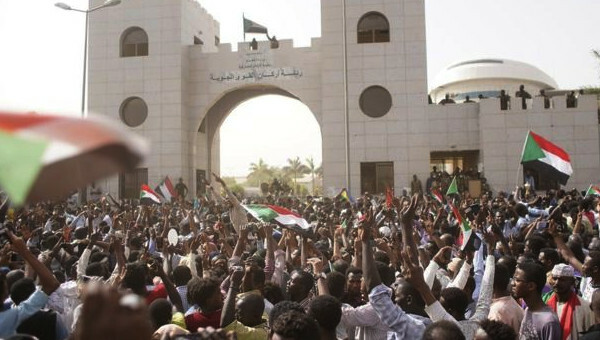 No longer continuing the old regime’s policy of following the direction of France or the United States in foreign policy, the new government stated it would establish relations with whomever it wanted, declaring its solidarity with all oppressed people and liberation movements. Sankara, to Mitterand’s visible discomfort during a state visit to the country, publicly took him to task because of France’s relations with the apartheid regime of South Africa which was, at the time, under international sanctions and he criticized France’s attitude toward African immigrants. “We Burkinabe have never understood,” he told President Mitterrand in front of a large assembly of journalists who had accompanied him to Ouagadougou, “why criminals like Jonas Savimbi, the head of UNITA, and murderers like Pieter Botha, have the right to travel to France, which is so clean and beautiful. They stain the earth with their hands and their feet covered with blood,” a confrontation that caused an international sensation. Botha was President of South Africa. Sankara did not confine himself to only opposing neo-colonialism in Africa. At the Non-Aligned Movement in New Delhi, he sought out revolutionary leaders such as Fidel Castro and Maurice Bishop and gave his support to Daniel Ortega’s Sandinista government in Nicaragua and he backed the rebels in El Salvador who at the time were battling a U.S.-backed dictatorial regime. Ernest Harsch’s book is no hagiography of Sankara nor is it a neutral account of the revolution that was an inspiration to many in those years. And although he admits to an admiration for Sankara and clearly states his partisanship with the revolution, he carefully notes some of its terrible mistakes, some of which may have eventually contributed to its defeat. Sankara increasingly, he writes, had to combat arbitrary oppressive powers against potential allies or even ordinary citizens, but with his approval, the government and the CNR sometimes reacted with a heavy hand against opposition currents. Relations with the unions soured when 1,300 teachers were dismissed and their leaders arrested.